Chaz Davies (Aruba.it Racing – Ducati) was present in Milan this weekend as he rode the all new Ducati Paniagle V4 R on stage at the Official Ducati 2019 Launch. As the Bologna factory proudly revealed their new bike, they explained all technical updates ahead the first test due for the V4 R at MotorLand Aragon from 14th – 15th November, as they begin their bid to stop four time world champion Jonathan Rea (Kawasaki Racing Team WorldSBK). 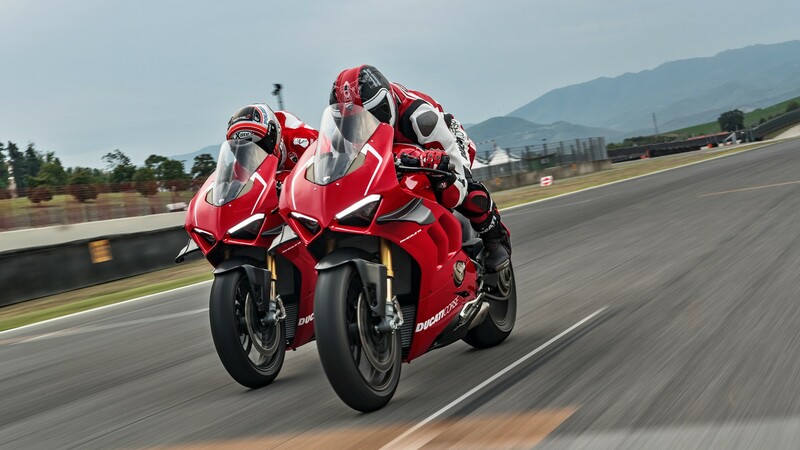 Ducati CEO, Claudio Domenicali was on stage to present the new beast, which offers the most powerful engine in Ducati’s history with 221hp and all new technologies to fight out on track. With a restyled frame and chassis – making it 38mm wider on each side – the V4 R will also offer carbon wings after the work and research over the years in MotoGP™. 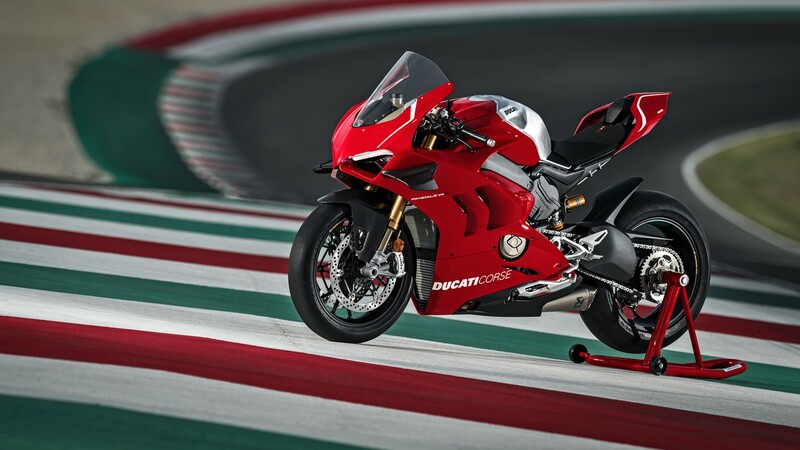 On top of this, they add to the line up the Ducati Panigale V4S, which was raced in the race of champions at World Ducati Week. Taking the victory back in July was Michele Pirro, as fans got the first taste of the V4 R machine. WorldSBK will be present in Spain for the first test, so don’t miss out on the highlights! You can also keep up with the latest updates for the Ducati V4 R throughout the winter, and follow its progress into the 2019 season, all with the WorldSBK VideoPass.